Here are directions on how to add a photo to a journal entry in Walker Tracker using the website! Click the photo icon to choose a picture from your computer. After your upload your picture, make sure to click add entry. 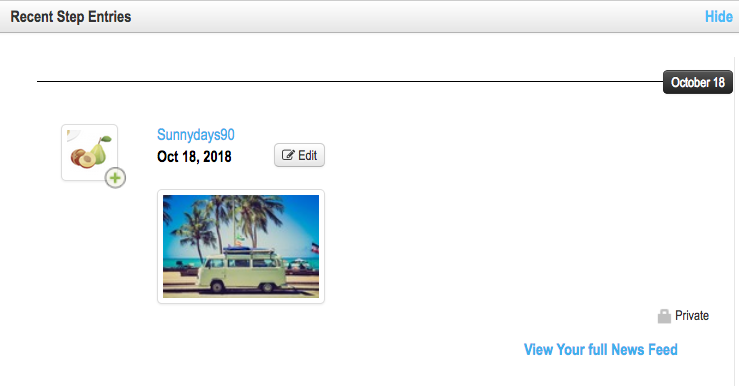 You will see your picture in your most recent step entries, like the photo above!